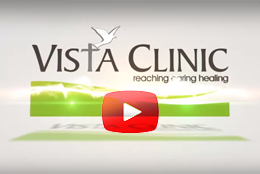 For the past 30 years, Vista Clinic has strived to help heal the person who matters most – You. From our people, to our technology, and our support network, everything we do at Vista Clinic is done with your healing and comfort in mind. Its all about working together to make sure that you are at the center of everything we do. In June 1984 Dr Japie Vermaak (Psychiatrist) started Vista Clinic with only a few beds from his home in Pretoria, South Africa. Today Vista Clinic has 158 beds making Vista one of the largest private psychiatric hospitals in Southern Africa. Vista Clinic is part of the global Adventist Health Care network which is the second largest health care provider worldwide. The Hospital is structured into 8 wards where skilled psychiatric nursing staff provides quality patient centred care. With 22 dedicated Psychiatrists and more than 70 allied clinicians we are able to treat a wide variety of psychiatric illnesses. As a leader in the private psychiatric hospital services, Vista Clinic has always maintained an exceptional level of service delivery. We believe that people with mental health problems are entitled to the best treatment possible to ensure successful re-integration into the community thereby achieving the highest level of functioning and quality of life. Psychiatrists The therapeutic team is headed by a psychiatrist, who refers patients for specific therapeutic interventions and admission to Vista Clinic. The psychiatrist is responsible for psychiatric consultations and psychotherapy on a daily basis while the patient is hospitalised, as well as for the medication prescription and review of the psychiatric medication. Psychological services are available on referral. Patients are referred to a psychologist for psychotherapy and/or psychometric evaluation. Vista Academy is a division of Vista Clinic. Vista Clinic is the leader in CPD (Continuing Professional Development) provision for over seventeen years. Vista Academy believies strongly that on-going training and learning is to the benefit of the patient and the clinician. Vista Academy’s wide range of CPD activities caters for the needs of clinicians and we are constantly looking at ways of expanding these learning learning opportunities we provide. Vista Academy organizes monthly CPD Seminars for Psychologists, Social Workers and counselors.